Want some luck inspired from Harry Potter saga. Harry Potter Luck Necklace is replica from the Harry Potter movies. 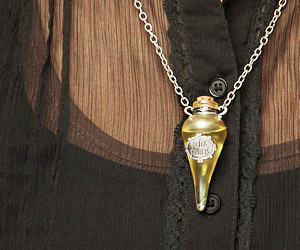 It has potion vial bottle made of glass fitted on a metal necklace.